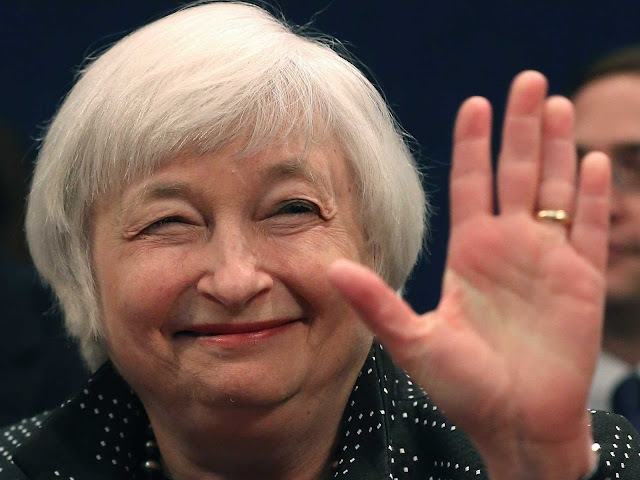 Federal Reserve Chair Janet Yellen is out of the race for the top spot at the Federal Reserve after her current term ends on February 3, 2018, according to two reports this morning. A Washington Post report, citing three people, said that President Donald Trump has narrowed his search to Fed governor Jerome Powell or Stanford University economist John Taylor. Politico reports that one of its sources who talks regularly to Trump said Powell and Taylor were the only finalists.